Both the Gourmet Black and the Baby Rice popcorn are old-fashioned, open-pollinated popcorn. Therefore they are more difficult to grow and require a lot more handwork than the newer hybrid varieties of popcorn. The Black and Baby Rice popcorn are harvested and dried on the cob. 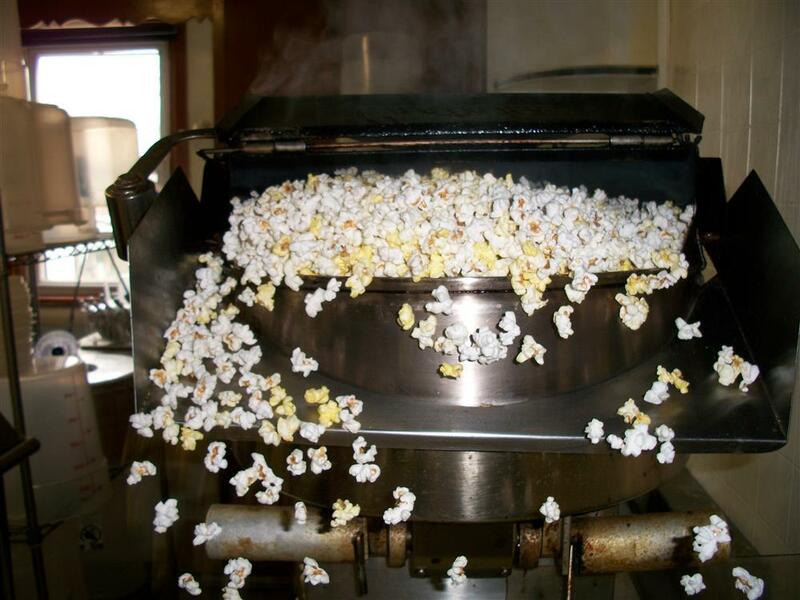 We dry the popcorn slowly to maintain an even moisture throughout. This assures that our corn will pop better and locks in that farm fresh taste. After the popcorn is dried, we send it through a husking bed and onto a conveyor. 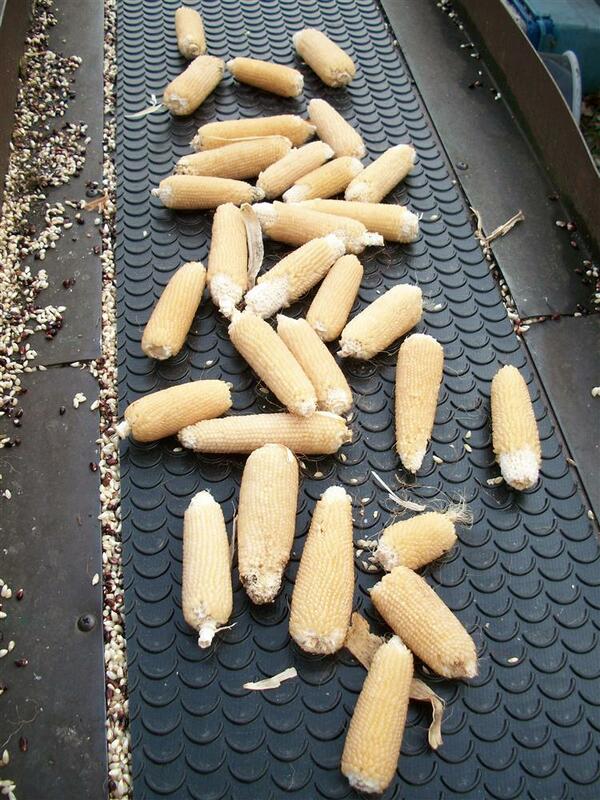 It is on this conveyor that we check over every cob for the first time. We pick out any cob that has been damaged in any way or is the wrong color. From this conveyor the popcorn goes into a sheller. The next step for our popcorn is a grain cleaner that removes any tiny kernels which will not pop and the "bee's wings" or chaff. Next the popcorn is sent through a fanning mill which removes pieces of corn cobs the sheller may have broken up and sent through. This also removes more under-sized kernels. After the fanning mill, the popcorn passes through a grain polisher. The polisher removes any "bee's wings" that are still stubbornly clinging to the kernels of popcorn. 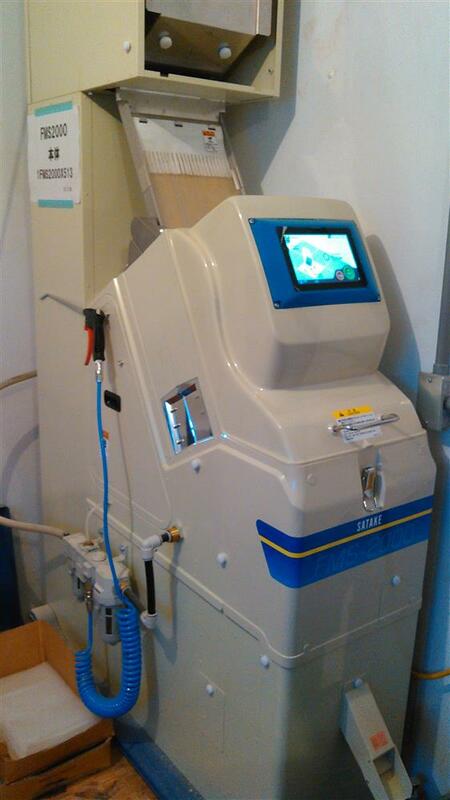 The final step in our cleaning process is to send the popcorn through a color sorter. This machine looks at the popcorn and uses a tiny blast of air to get rid of any kernel that is the wrong color or damaged. After that is done, all we have left is to bag or pop the corn. During the spring of 2003 we added a state licensed farm kitchen to our operation. We spent countless hours in this kitchen trying and re-trying to develop recipes for our flavored popcorn that we could feel proud of. After many failed batches, a lot of sampling, and hearing the comment "almost, but it is not quite there", we think we got it right. Of course, the whole process is repeated everytime we or one of our customers think of a new flavor to add to our selection. All of our popcorn is handmade in small batches. We pop our popcorn several times a week to guarantee the popcorn is fresh when it gets to you. Our cheese corn is made with plenty of real cheese. We believe that if your fingers are not covered in cheese when you eat cheese popcorn, you have been cheated. We guarantee your fingers will be cheesy when you eat our cheese popcorn!